Host a Third Party Fundraising Event and help K4K reach our objective! 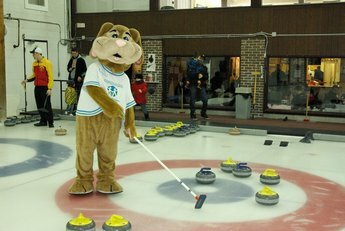 Thank you for considering supporting Kurling for Kids (K4K) through a third party fundraising event. A third party event is an opportunity for you to put your creative ideas to work in order to help raise awareness & funds for K4K. The event can be as simple as hosting a bake sale or gathering few friends together for dinner and giving your guests the opportunity to donate, to planning a golf tournament or gala. It's fun and easy to host a third party event in support of K4K, and we're here to help you get started. Every little bit helps and we appreciate your efforts to help us raise money in support of K4K’s work. Have a look at our past events and get some ideas for your future event! The possibilities for third party events are limitless and are a great way for to support K4K!